A bright young woman who’s always succeeded at everything she’s tried meets her share of challenges when her new teaching position and the man who’s made a shambles of her first-day plans make her rethink her life. But things are always what they seem, and there are many surprises in store for Ruth Byler…and the first of them is Zach Bender. 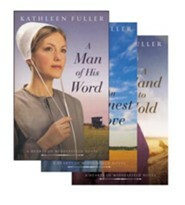 A student at heart, Ruth is finally a teacher at the Amish schoolhouse. But after her first day, she wonders if shes made a mistake. The students want nothing to do with learning. Deflated, she makes a promise to herself to not give upnot yet. 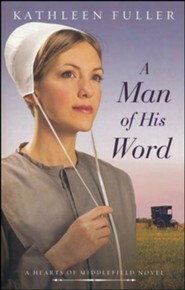 When Zach comes to fix a repair at the schoolhouse, he notices the young Amish teacher and the disorderly students. After seeing enough, he storms into the classroom and demands the students show Ruth respect. Satisfied hes done a good deed, he waits around so Ruth can thank him. Instead shes furious he interfered. Zach leaves, thinking shes still the snobby, bookworm he knew from school. He doesnt have much use for learning. And now he has little use for Ruth. Theres more to Zachs story, and when Ruth finds out the truth about why he hated school, the consequences leave them seeing each other in a different light. Ruth can help Zach if hell let her. But to do so, hell need to offer her his hand. I'm the author/artist and I want to review A Hand to Hold.